Great things start with that phrase. Have you found yourself saying that statement when counting computers, office equipment, or other serial numbered assets? There is an easier way. Especially if the asset has a barcode. Even if it doesn’t, take the time to make a barcode and make it easier on yourself the next time. The tools for the easier way are simple. We have a great video demonstration that covers this much better than we can write this blog post. We encourage you to watch it all the way through. The first half covers the barcode scanning and how to catch out of place items. The second half of the video shows how to use Google Sheets to show what is on hand and what assets are missing. 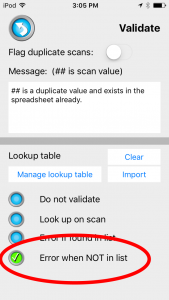 Using Scan to Spreadsheet is 3 basic steps. Using this imported list, we can confirm as we go along. Checking if a barcode scanned was supposed to be in our list. Now if you scan a barcode that is not a member of your master list, a message will appear so you can remove that item or save it to handle later. This is easy, scan all the barcodes. 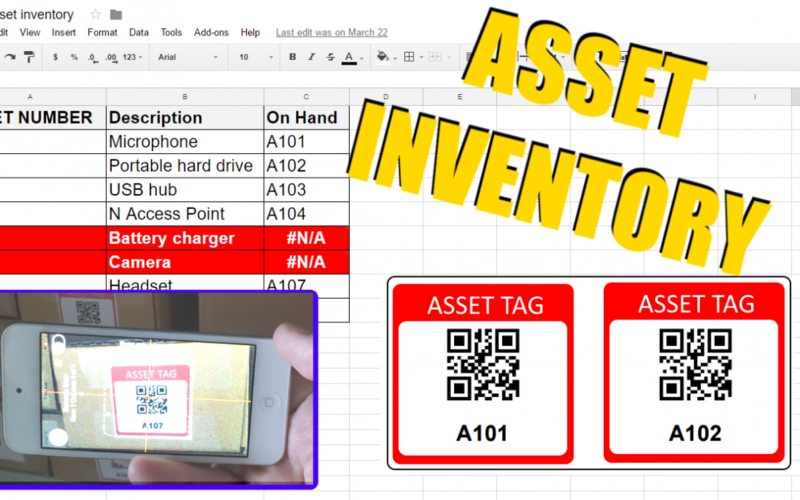 Scan to Spreadsheet will collect the asset tags in a list to compare later. In your Master Asset list you can use VLOOKUP to match the list of barcodes you scanned to your master list of asset tags. The formula will show if anything is missing when there are no matches. Here are more detailed instructions to follow along. Review - You can remove it or add a note when saving. We use a QR code that contains info such as barcode number, location, brand, model number, serial number, and condition of the item. Using PDT scanner, all these info came out in the Excel output. However, I have only been able to extract the barcode number when using scan-to-spreadsheet. I have using the available templates as well as define a new template with the above names, to no avail. Please help. Please send us a clear picture of the barcode so we can test. How is the information separated within the barcode? The app assumes a comma and sets that as the default. You can change the delimiter in the spreadsheet properties. Or is this a product barcode and a database is being used to look up the information and display? Hello! Thanks for the comment. Do you have an issue/question you need answered? Thanks!